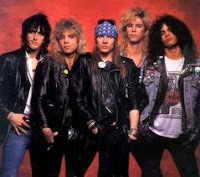 Kentsterling.com has been told that preliminary talks have already taken place to reconvene the most popular lineup of Guns N’ Roses to turn Indianapolis into Paradise City. Gun N’ Roses might be the only rock band with it’s members still living that hasn’t played a Super Bowl halftime show that could generate a real sense of excitement for what this year became a devolving mess. After a significantly lesser halftime show this year with the overexposed Black Eyed Peas with Usher (who had to cancel a bar mitzvah appearance) and Slash from GNR, the NFL is looking to make a splash, and reuniting Axl Rose, Slash, Izzy Stradlin, Duff McKagan, either Steven Adler or Matt Sorum, and Dizzy Reed. WE NEED SPECIFIC INSTANCES OF RADIO STATION CALL LETTERS AND DIAL NUMBERS, TELEVISION ADVERTISING, NEWSPAPER OR PRINTED POSTER ADVERTISING, AND ANY REFERENCE WHATSOEVER TO THE ORIGINAL MUSIC OR BAND MEMBERS THAT THE BAND CALLING ITSELF “THE GUESS WHO” IS USING CURRENTLY AND ANYTIME FROM HEREON TO PROMOTE ITS LIVE CONCERTS. WHAT’S WORSE IS THAT EVEN AFTER REPEATED REQUESTS AND WARNINGS THEY HAVE CONTINUED THEIR MISREPRESENTATION TO MISLEAD OR FOOL THE PUBLIC. PLEASE FORWARD ALL INSTANCES OF THIS FALSE ADVERTISING BY THE GROUP CALLING ITSELF “THE GUESS WHO” TO US HERE. HELP US PUT AN END TO THIS FOR GOOD. FROM FLORIDA TO MISSISSIPPI TO THE MIDWEST TO THE WEST COAST TO THE EASTERN SEABOARD, THIS GROUP CALLING ITSELF “THE GUESS WHO” HAS MISLED UNTOLD LEGIONS OF FANS OF THE ORIGINAL BAND AND THEIR MUSIC. PLEASE SEND US EVERYTHING YOU CAN FIND. YOUR HELP IS GREATLY APPRECIATED. It wouldn't be the same without all the memebers, I hate when one or two members of a broken up group try to come back and call themselves the originals. Any thoughts? 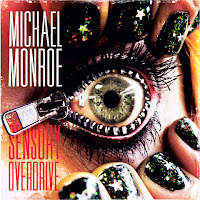 Michael Monroe, iconic rock 'n' roll frontman and founding member of hugely influential Finnish outfit HANOI ROCKS, will release his new solo album, "Sensory Overdrive", on March 14 via Universal Music subsidiary Spinefarm Records. The CD features guest appearances by MOTÖRHEAD's Ian "Lemmy" Kilmister and three-time Grammy-winning country/folk singer-songwriter Lucinda Williams. 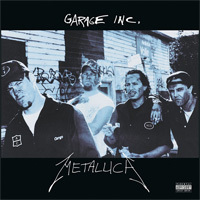 METALLICA's collection of covers, "Garage Inc." is set to be reissued on vinyl on March 1 on Warner Bros. A standard three-LP pressing will be made available along with a six-LP, 180-gram vinyl deluxe pressing. Included are METALLICA's previously recorded cover songs, all of the band's B-side covers released up to 1998, and the entire "The $5.98 E.P. 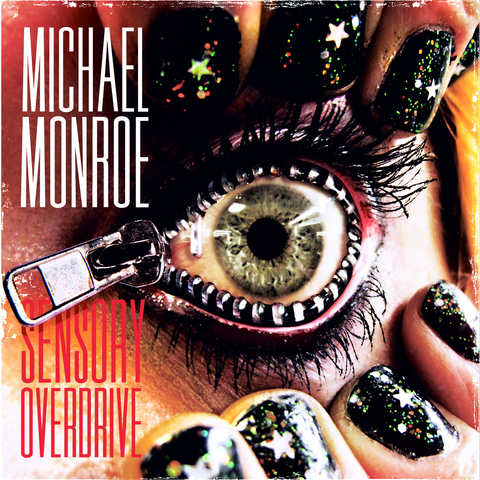 : Garage Days Re-Revisited", which had gone out of print since its original release in 1987. Frontiers Records has set an April 15 European release date (May 5 in North America) for the fourth album from Swedish hard rockers THE POODLES, entitled "Performocracy". According to a press release, the CD title is a combination of the words "performance" and "democracy," meaning "the power of performance" or "rule by performance." 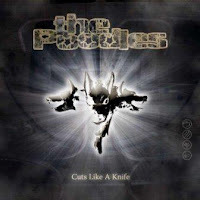 The album was again produced by Mats Valentin, but this time Tobias Lindell (EUROPE, MUSTASCH) mixed the 12 outstanding tracks that make up the CD. 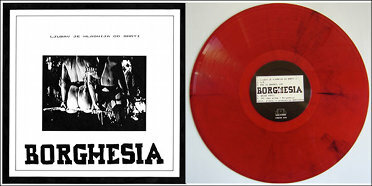 The US label Dark Entries Records has recently announced the vinyl release of Borghesia’s “Ljubav Je Hladnija Od Smrti” (“Love Is Colder Than Death”). 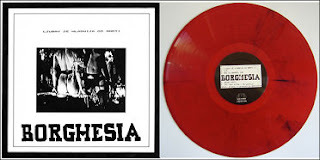 The release will be in blood spattered red vinyl, with a large fold out poster acting as the record jacket and in a first hand-numbered edition of 1000. All songs from “Ljubav Je Hladnija Od Smrti” are sung/recited in Croatian and use the imagery of the prohibited, tabooed and repressed. On April 5 2011, Brooklyn art rock audience-dividers Extra Life will release their new EP Ripped Heart on the newly launched Last Things Records (digital and limited edition 12” vinyl) in the US, through LOAF Records (digital only) in Europe. Their third proper studio release, it includes four new exclusive tracks. 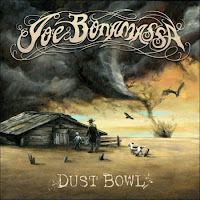 BLACK COUNTRY COMMUNION guitarist Joe Bonamassa will release his 12th full-length solo album, "Dust Bowl", in Europe on March 21 and in the USA on March 22. 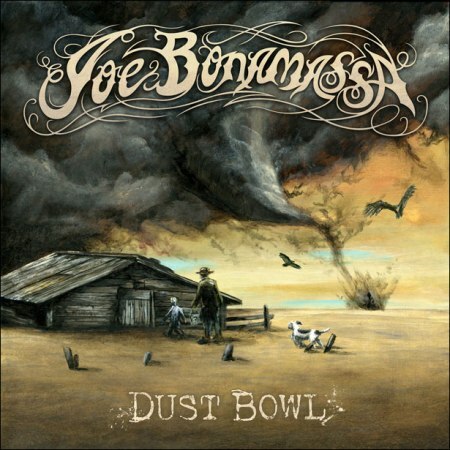 The album will be promoted on Bonamassa's forthcoming 2011 "Dust Bowl" world tour that will take in America, Canada, Europe, Asia and Australia. Provogue Records has announced that a limited-edition digibook format of "Dust Bowl" will be released in Europe alongside the standard CD and vinyl editions of the same album. Mastodon will mark Record Store Day on April 16th by releasing two limited-edition vinyl pressings. 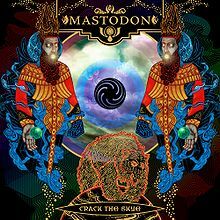 ‘Live At The Aragon’ will be pressed onto 180 gram audiophile weight vinyl which will also be packaged with the DVD of the live show and ‘Crack the Skye: The Movie’. Also to be released the same day will be an exclusive split 7” vinyl single of the ZZ Top classic ‘Just Got Paid’, with Mastodon’s version on one side backed with the original ZZ Top version on the other, housed in a clear plastic slipcase. Customers shop for new vinyl at Fall Back Records. The record shop celebrated it's one-year anniversary Saturday with live music and a vinyl release. Tucked inside a downtown McAllen plaza alongside a new age store and a sewing shop, the walls of Fall Back Records are lined with a patchwork of vinyl albums. The selection spans from independent releases by an Austin punk rock outfit to a $600 triple-decker rarity, one of only 300 released by Jack White's band Dead Weather. It has been a year since the vinyl-only record store first opened its doors, the result of an appreciation for the retro music format that was sparked with a seven-inch LP from punk rockers NOFX over a decade ago. 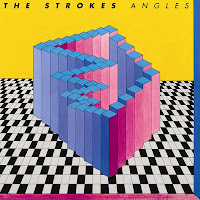 The Strokes are scheduled to release their fourth album, 'Angles,' on March 21st via Rough Trade (UK) and March 22nd through RCA (US). 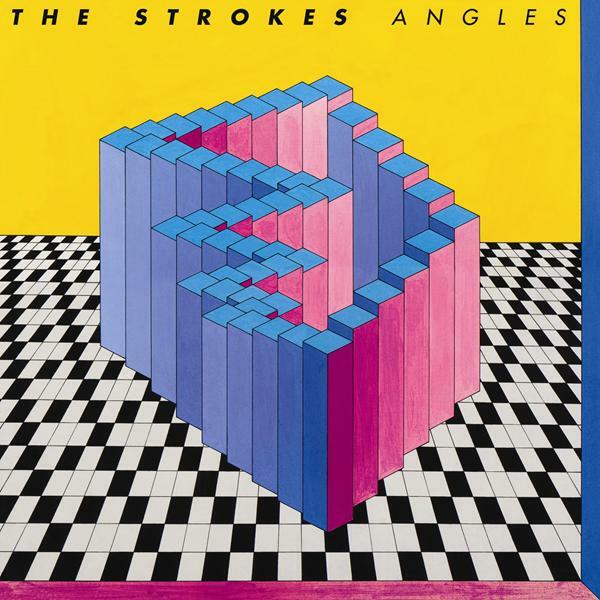 Here is the cover art for 'Angles' which The Strokes recently revealed via Twitter. Epic Records and Legacy Recordings celebrate Pearl Jam's 20th anniversary with the release of newly restored and expanded editions of "Vs." and "Vitalogy," the second and third albums from Pearl Jam which broke all initial SoundScan records and secured the band's reputation as a preeminent force in American rock music. "Vs." and "Vitalogy" will be available in new Expanded Editions (featuring three bonus tracks on each) or together in a three-disc Deluxe Edition (featuring Live at the Orpheum Theater, Boston, April 12, 1994) and Limited Edition Collector's Box Set, on Tuesday, March 29th. Each album will also be released in new commemorative remastered Vinyl Editions on April 12th in time for Record Store Day 2011 (April 16th). a previously unreleased acoustic version of "Hold On"
cover of Victoria Williams' "Crazy Mary" featuring Williams on backing vocals and guitar. a previously unreleased demo version of "Nothingman," taken from the original DAT (recorded at John and Stu's in Seattle on October 14, 1993, featuring Richard Stuverud on drums). a copy of Live at the Orpheum Theater, Boston, April 12, 1994. A special performance recorded at the tail end of the mythic Vs. tour, Live at the Orpheum Theater showcases a dream setlist created especially by the Pearl Jam crew and has for years been one of the most sought-after recordings among serious aficionados. A glassine envelope containing a collection of Vs. and Vitalogy- era memorabilia including beautiful lithographs of each band member, postcards, posters and much more. Vs. and Vitalogy will be available at independent record retailers in new commemorative Vinyl Editions on April 12th in time for Record Store Day 2011 (April 16th). Originally released in 1993, Vs., Pearl Jam's sophomore effort, faced the daunting challenge of following the success of Ten, the band's 1991 debut. Shattering all expectations, Vs., the first Pearl Jam album helmed by producer Brendan O'Brien, rolled into its first of five weeks atop the Billboard 200 at #1 with the highest first week's sales (more than 950,000 copies) in music history; a record it would hold for the next five years. Released in December 1994, Pearl Jam's third studio album, Vitalogy entered the Billboard 200 at #1, second only to Vs. as the fastest-selling CD in chart history at that time. According to Genesis 1:20-22 the chicken came before the egg. now you know! In 1963, the Beatles recorded their immortal cuts "Twist & Shout" and "I Saw Her Standing There," plus eight more tracks for their debut album. The Beatles made their first concert appearance in the US at Washington Colosseum in 1964. In 1967, the Monkees saw their second album, 'More of The Monkees' leap from position 122 to number 1; where it would stay for an amazing 18 weeks. The made-for-TV band only provided the vocals and were backed by some of the finest studio musicians around, like Glen Campbell and Neil Sedaka. The L.P. contained the hits, "I'm a Believer" and "(I'm Not Your) Steppin' Stone" and was produced by Carole King, Carole Bayer Sager, Tommy Boyce and others. After being pressured by the press, The Monkees later announced that they would play their own instruments on all future recordings. In 1979, the TV movie 'Elvis,' starring Kurt Russell, aired on ABC-TV with an estimated audience of 43 million viewers. In 1989, future (and now ex) American Idol judge Paula Abdul enjoyed the first of her six US number one hits with "Straight Up." In 2003, the British Phonographic Industry reported that the year 2002 saw the largest sales decline in decades, with the most severe slump in a single year since the birth of the CD market in the early 1980s. Piracy, illegal duplication and distribution of CD's by international criminals were blamed for the decrease. Buy vinyl! 2007 Artists who won awards at the 49th annual Grammy Awards in Los Angeles included Bob Dylan, Bruce Springsteen, Peter Frampton, Tony Bennett, Stevie Wonder, George Benson and Ike Turner. In 2009, we lost the legendary Estelle Bennett of the Ronettes, who passed away at age 67.